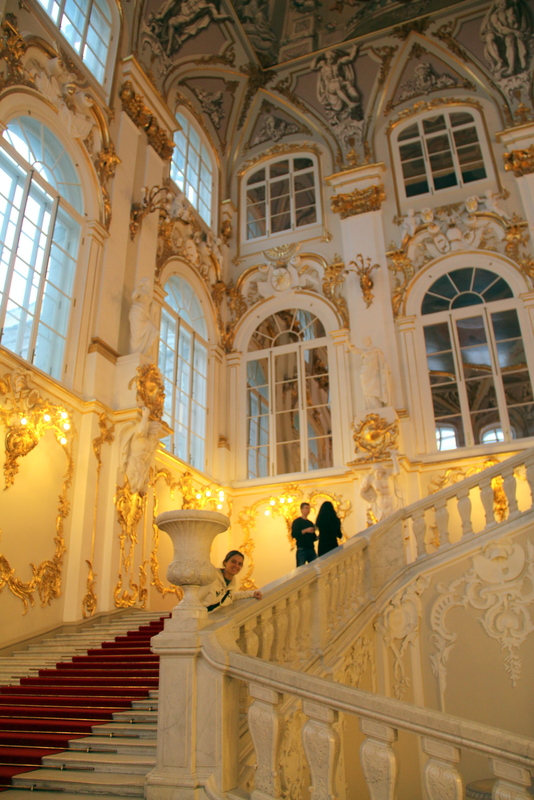 Our first stop was the main reason we wanted to come to St. Petersburg: the Hermitage Museum. 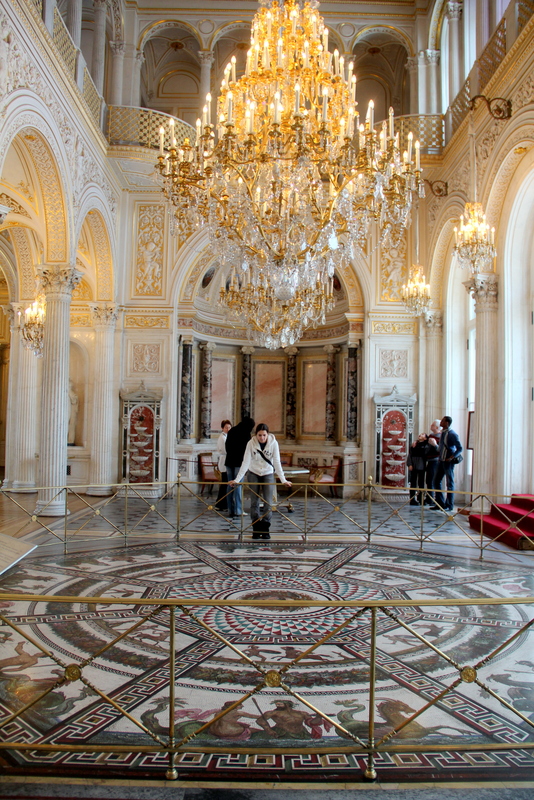 The State Hermitage contains one of the best art collections in the world, only rivaled by Paris’ Louvre and Madrid’s El Prado. 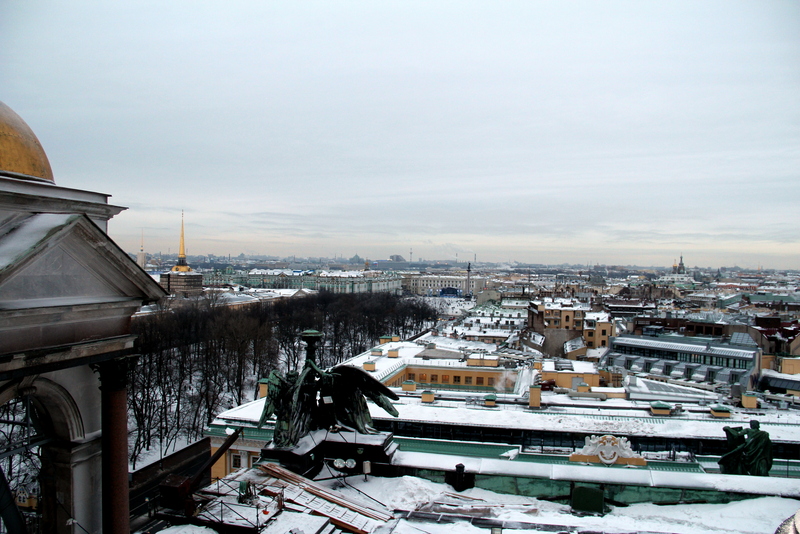 It is composed of 4 different buildings (Old Hermitage, New Hermitage, Hermitage Theatre and Winter Palace), lined up between the Neva river and the magnificent (and these days frozen) Palace Square. We got in right when the museum was opening its doors and armed ourselves with a detailed map… and a lot of patience. The place is massive, and I would recommend allocating 3-4 hours but not more; you won’t get to see everything, but you won’t hate it either. 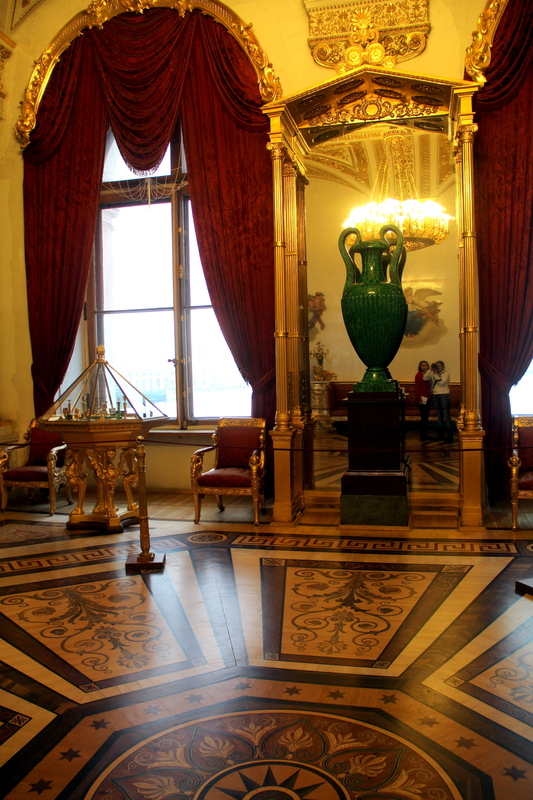 We first wondered through the Egyptian and Classical antiquities exhibits in the ground floors, then made our way up in the Winter Palace. Here, the architecture and decoration take priority over the collections, and we explored one spectacular room after another: the Jordan Staircase, the Throne Room, the Malachite Room, the Twelve Column Hall, the Pavilion… We then got lost among Italian, Spanish and Dutch paintings from the 16th-18th century on the first floors (don’t miss Da Vinci’s madonnas, Goya, Rembrandt), before ending with a bang on the second floor Impressionism and Modern art exhibits (look out for Van Gogh, Matisse and Picasso). We were definitely ready for lunch when we got out, and found a nice local restaurant right on Admiralty street. A bunch of pelmeni later, we continued our walking tour to reach St. Isaac’s Cathedral. The coolest part of this site, even better than its giant golden dome, is the view of the whole city from its outdoor walkway, at the end of a 300 steep step staircase. In the afternoon, we strolled by the river and through the commercial street Nevsky Prospekt, window shopping and eating pirozhky. 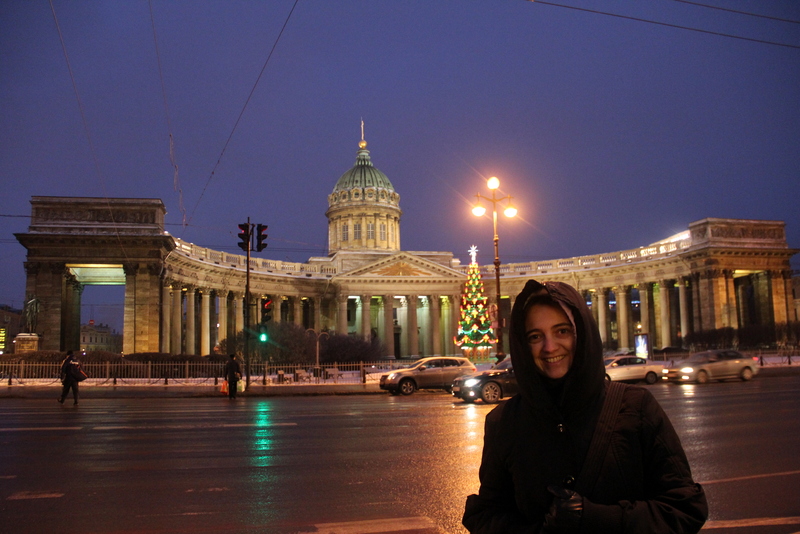 It was getting dark quickly, the days are really short here in the winter, so we headed to the Church of the Savior on Spilled Blood. 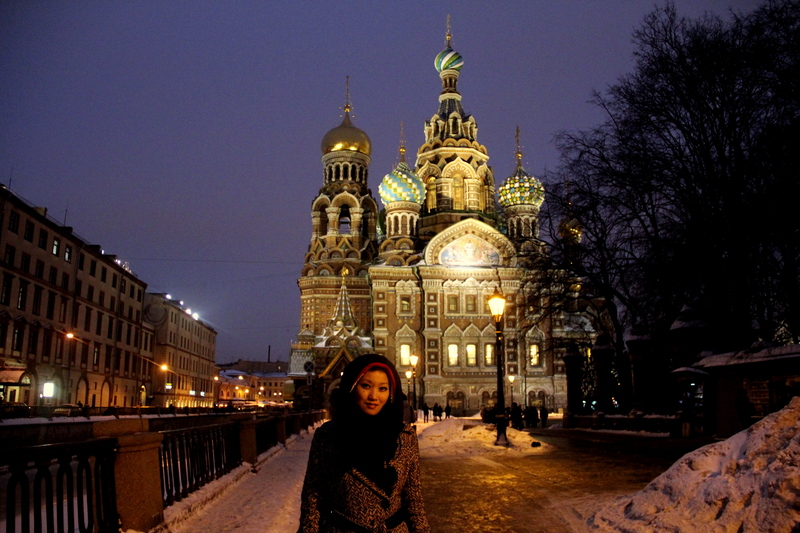 Built in the late 19th century, it purposefully resembles Moscow’s St. 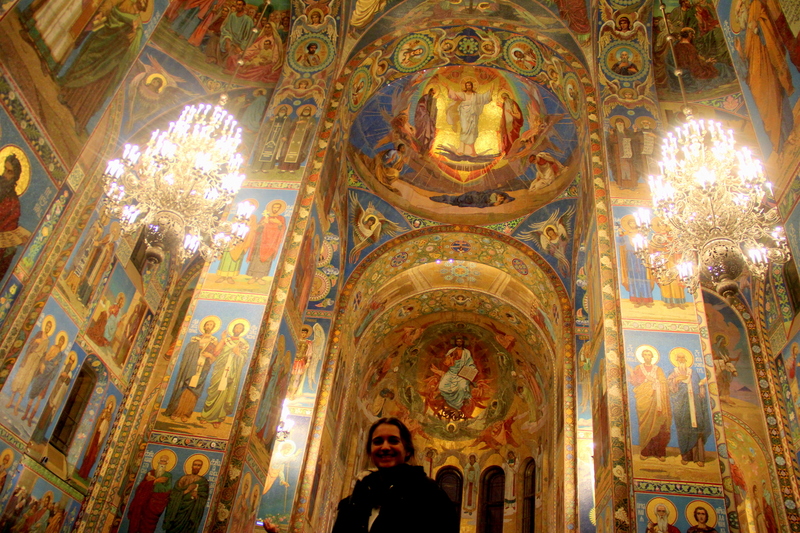 Basil Cathedral… and yes, an ice cream palace too. 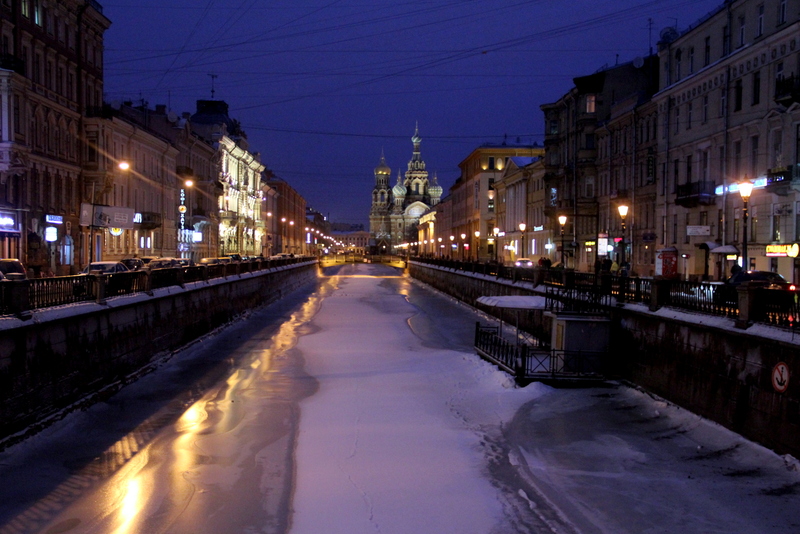 The image of the church with the frozen canal on one side and piles of snow all around it is breathtaking. The interior rivals with the exterior in beauty: all the walls and ceilings are covered by colorful, intricate mosaics, depicting biblical scenes. We had to get back to the station to catch our overnight train to Moscow. It was a long, exhausting day, and we left a few things unseen, but I would definitely recommend it to any traveler.